Here’s a glimpse of my childhood: Every morning at weekends, protruding sound of Dad’s records through his hi-fi awakened my brothers and me. Sometimes it was Robert Plant’s shrilly vox on ‘Black Dog’. On other mornings, it could be those daunting flute solos from Jethro Tull’s ‘Stormwatch’ or some wicked tunes from Zappa. For a man of his age, Dad has a quite edgy music references (Last boxset he bought was Radiohead in 2012). Long story short, I was totally hooked on these records he has (thanks Dad), and ended up idolizing and geeking Hendrix, Pink Floyd, Led Zepp, YES and of course, The Beatles. I could say that I grew with these bands, just from listening to their songs every weekend. The first time I decided to play drums was when I heard Bonzo Montreux, a 4-minutes-long bizarrely beautiful solo drum delivered by the great John Bonham. But among all of those astonishing bands, The Beatles is always something, something else for me. I fully realize that generally, becoming a Beatles fan is not that special, because MOST people love them. Fab Four’s longevity is incredibly extensive it grabs diverse audience vertically and demographically. But of course, people have their own handpicked reasons why they love The Beatles. Mine, is a polite mixture between memories, simplicity, warmth and history. I remember in a car listening to Rubber Soul with the rest of my family, it was that one Christmas Eve in my childhood. Fast forward couple of years, I was drunk-singing “Don’t Let Me Down” in a bar with my friends, and dozens of other distinctive memories. Each song has a memory, vice versa. December 2011, I went to Liverpool, joined the Magical Mystery Bus tour, and shed happy tears when the bus arrived in Penny Lane. When the bus stopped in the front of Paul’s childhood house, I stood there imagining talking with him. I even wrote a feature about The Beatles and Liverpool for National Geographic Traveler. As a journalist, interviewing people is part of the job, obviously. Being an interviewer is actually my favorite part of journalism, because you have to deliberately blend yourself into the interviewee’s perspective, and that involves not only the ability to ask the correct questions, but also how to deliver the question, how to lure the conversation and establish a pleasant atmosphere. Interviewing is like playing Tetris with humans. 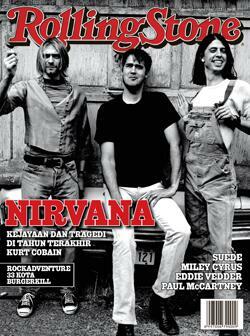 But when Rolling Stone assigned me for this interview, my head just exploded. First, this was my first journo gig after I arrived in London, and for God’s sake this is Sir Paul McCartney! I live with his songs. The idea of meeting him is already beyond, and now I have to interview him, as a journalist. 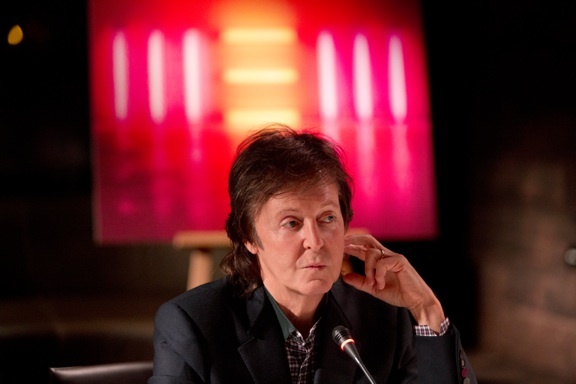 And it’s an eternal question for virtuoso like Macca: What next? Mid September, I was standing in the front of The London Edition trying to escape the rain. On the way there, I kept convincing myself that I got all of the questions in my mind. I wrote them in my notes, cellphone, and in my laptop. Just to make sure that everything is under control. On one level, you might properly think that in terms of achievements, awards, sales and artistically, it’s quite hard to analyze what will happen next to Sir Paul McCartney. But while other living legends are repeating the same obsolete things, Macca is literally craving for invention: scoring projects, solo albums vary from classic to experimental, painting exhibitions and charity campaigns. NEW – Paul’s 16th (!) Solo album is the answer. Working together with four different Producers (Mark Ronson, Paul Epworth, Giles Martin dan Ethan Johns), NEW digests 71 years old Macca’s new page of life – of course aside of his new marriage with Nancy Shelves. And what I love about NEW is it reflects the perfect paradox for a figure like Macca. When everyone asks what could happen next, what could possibly new for him, this album is the answer. NEW, is simply new. This man, changed the world. Not only musical, but cultural as well. I really could start blabbering on how Macca and The Beatles revolutionize the planet but I’m sure that most people already realized that. 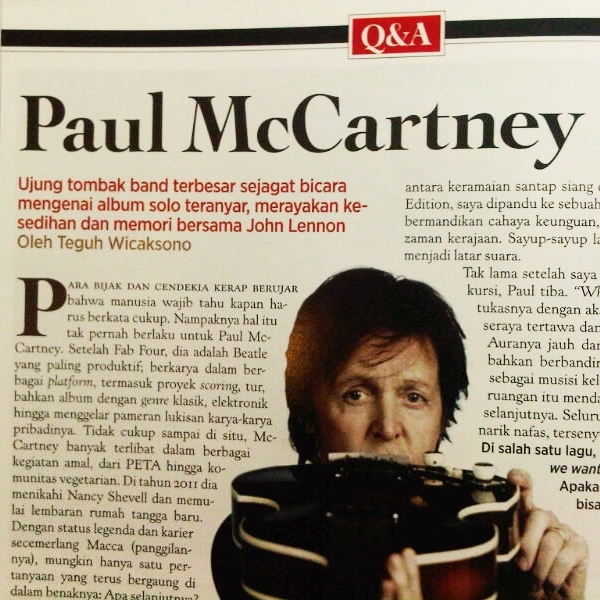 The reason why this interview becomes very memorable for me is the fact that people were there not to discuss about Macca’s past or anything related to Beatles’ heyday, but they were there to actually witness novelty from Sir Paul McCartney. It was not about celebrating the past, although the past was as amazing as it could be. 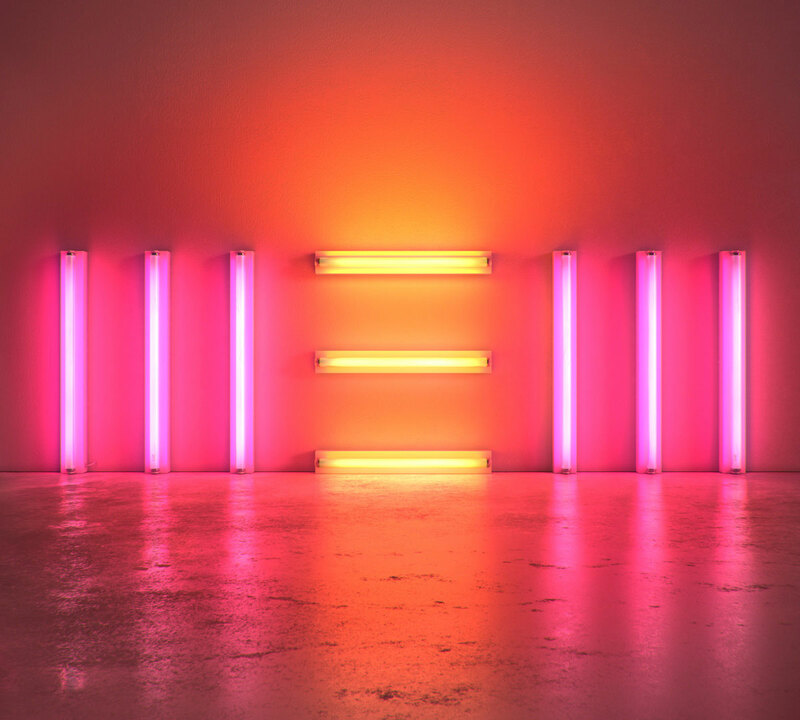 As my guts slowly scrutinized into pieces, the guards herded me into an underground “chamber” with purple lights where NEW – Macca’s new album – vaguely resound. The place oddly looks like a set in the TV series “Games of Thrones”. Landed in a pretty comfy chair, my mind was already stuffed with thoughts. Amid all of the what if-s, I was sober enough to realize that it’s Paul McCartney that I will meet, face to face. Isyana Sarasvati: Anomali, revolusi, kompromi? Is Barasuara a Rock Band?